Hello West Hills! 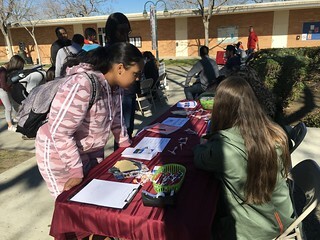 On Wednesday, January 30th, our campus held a Club Rush event. The WHCC Club Rush event was held in the quad starting at 11am and ending at 1pm. Club Rush is an event to let students know what type of clubs we have on campus that they can join. Don’t be shy, if you missed this event you can still sign up for these clubs. Check our Facebook so you can know when the next event we’ll have on campus is and come on by. There are awesome games and food offered. See you next time!